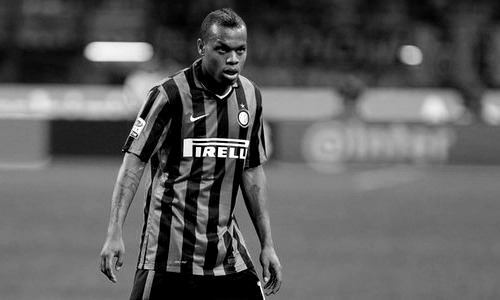 According to the football transfer rumours in Italian Media, Chelsea linked with a move for Inter Milan winger Jonathan Biabiany. Jonathan Biabiany has joined Inter Milan from Parma as a free agent in 2015. The 28 year-old has a valid contract with Inter Milan until June 2019. Since his arrival from Parma, Biabiany has scored two goals and provided seven assists in 49 games for Inter Milan, including only 149 minutes in three games in all competition this season. Inter Milan are keen to get the France international off their books as they make way for the signing of new player today. The France international has struggled for playing time under Stefano Pioli. Jonathan Biabiany has been target of Antonio Conte as the manager looks to bolster his attacking options for the second part of the season. Euro Football Rumours were informed that Chelsea is prepared to offer only loan move for the France international. How strong that interest is and whether Chelsea will make today move remains to be seen but it is certainly one worth keeping an eye on.